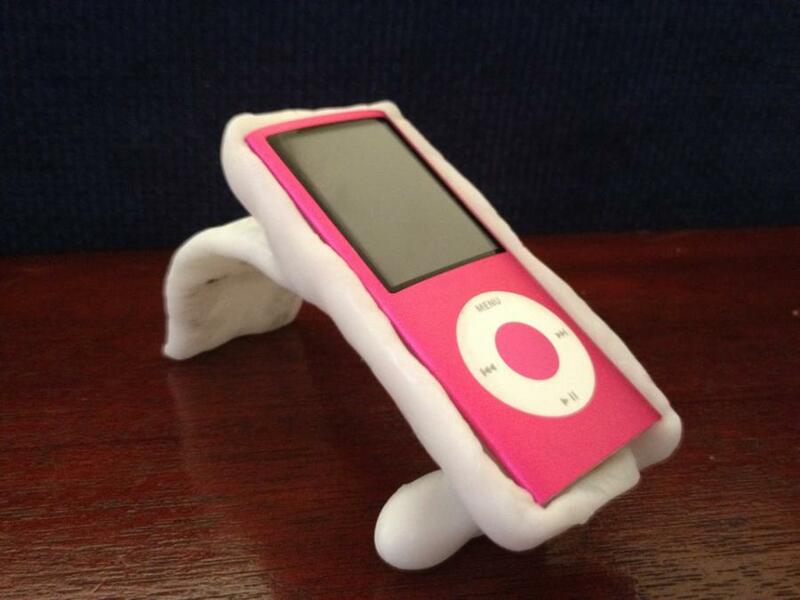 I made a holder for my iPod. I have an older car & needed to use an FM transmitter & the iPod kept sliding around & I had to take my eyes off the road to change songs. A good tip is to remember to leave a hole for the cord. 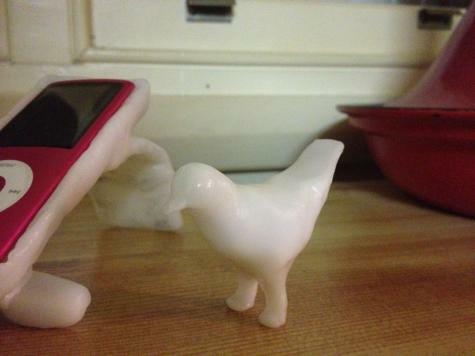 Oh & I had a little left over from my $10 bag so I made a chicken. Remember, never leave a Plastimake item in your car on a hot day. 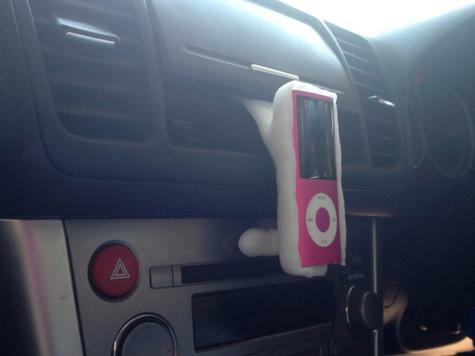 It's possible for a car interior to reach 60°C which will cause your Plastimake item to melt!